Moo Nelson likes to be alone. Overweight and shy, Moo is constantly mocked and bullied by his cruel classmates. He's happiest spending time on a secluded bridge above the highway, watching the cars go by. One day, from his special spot, Moo witnesses a crime that changes his life forever. He sees a car chase and a murder--and suddenly Moo's a celebrity of sorts. The police, the lawyers, and even the bullies are now really interested in Moo. But so is one shady character who seems intent on tracking Moo down. Now all Moo has to do is find out the truth behind the crime...before it's too late. I found it quite difficult to find my place with this book. I knew that it would be difficult to read based on the subject matter but to go along with the bullying and getting caught up in a murder trial, there is also the issue of the main character's poor spelling, grammar and over-use of capitalisation. 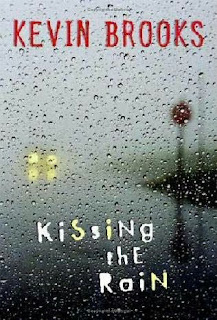 Kissing the Rain by Kevin Brooks is written in a very conversational way and I don't think that everyone will be able to slog through that first section of the book getting to know Moo Nelson and the story that he has to tell, as it's peppered with aints and dunnos and yehs. Which is a shame, because once I got through the first 100 pages I really started to feel for Moo. He's really stuck in a difficult situation, but he tries his best to do the right thing and to tell the truth. Moo Nelson is an overweight teenager who is quite heavily abused by his peers because of his size. Every day he deals with the name-calling, the laughing, the mocking. He's frequently beaten up, has rocks thrown at him and he's taunted in every way, which he calls the RAIN. It's at such a level that all the days sort of meld together, no one day worse or better than the other. In order to get away from it all, he visits the bridge, where he's able to watch the traffic going back and forth and it's peaceful and calm and he's able to relax and not care so much about the bullying. Until one day, he witnesses a car accident and an altercation between two drivers that leads to a murder. Moo is the only witness and once he gives a statement to the police he's put in this awful position between an influential and dodgy police officer and a ruthless gangster. Each tries to convince, intimidate, and threaten Moo into either telling the truth or changing his story. Just as with Moo's tormentors at school, Moo is caught in a power struggle, only this time more is at stake. Moo is definitely a very interesting character. In terms of the accident and murder, he's an excellent eyewitness, with a great eye for detail - his version of events that he witnessed rarely falters. When discussing the treatment he has recieved at the hands of the other students, he doesn't particularly feel sorry for himself. About his weight, he feels no shame or guilt for the amount that he loves food or for how much of it he eats. Though there are moments of crudeness when talking about 'needing the bog' it's quite clear what a struggle Moo is going through and as the reader I was able to sympathise with him a great deal. Throughout the course of the novel, Moo is only trying to piece together what he knows about the accident, the case, what he's been told by the lawyers and police officers. Moo's philosophy on the bullying is that it won't kill him. In ten minutes it's usually over and what can't he stand for ten minutes? Better to just 'umbrellarise it' and wait to get the bridge again, where he can be content for a little while. Only after he witnesses the crime, the RAIN stops for him and instead of him, all the RAIN and abuse is directed towards Brady, Moo's only sort-of friend. I loved Moo's struggle within himself to stand up for Brady and stand up for himself. There's more here than just a gritty YA novel about bullying. It touches on telling the truth, friendship, trust and standing up for what's right. 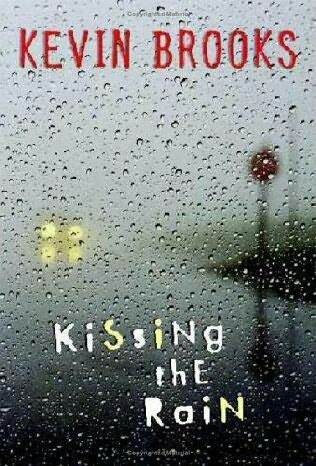 It was a very interesting read and I'm glad I stuck with it, even if the ending was not at all what I was expecting. 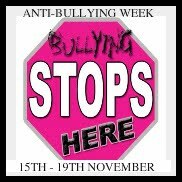 I read this book for Anti-Bullying Week, being hosted over at Asamum Booktopia. It does sound like a really tough read but worthwhile I am sure. Ooh I am really no good with difficult reads but maybe I should give this one a chance - sounds like it is worth it. Emma - Thank you, I'm really glad that I did! Willa - I think Kevin Brooks is DEFINITELY an author to read. Very different from what I'm used to but it's good to read out of our comfort zones, don't you think? Michelle - You said it perfectly! Thank you for commenting.